Lambie felt the new spring grass to be the best of all the year, however, reaching it caused such wear on her clothing. Perhaps being so very tall did have its disadvantages after all. 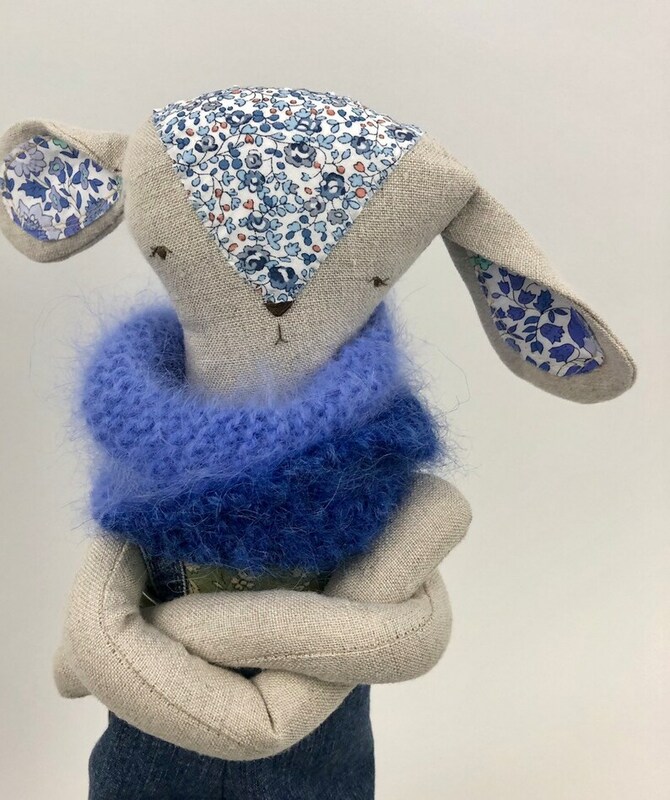 Reclaimed linen fabric was used to make lambie along with saved liberty print cottons, reclaimed denim, button jointed arms, softly hand embroidered facial features and a cozy angora scarf in the colors of the sky. That is lambie’s favorite color after all. Standing 19”tall in bare feet.